E-commerce platforms unify, scale, and maintain core business processes like the front-facing selling of products and services, and the back-end functions of managing inventory and customer order history. Depending on business need, security, and potential for growth, an e-commerce platform can be either open source or proprietary, and implemented either on-premises or in the cloud. E-commerce platforms generally integrate with catalog management, subscription management, inventory management, CRM, and ERP software. Let’s have a look at some of the best and most popular eCommerce platforms, helping you decide which one will work best for your business!! Magento is one of the best platforms for eCommerce solutions and is an established leader. Being the fastest growing eCommerce platform, it flaunts numerous features, is extremely flexible and is the most trusted platform. It is the most versatile eCommerce framework and comes in Community (fit for medium to large businesses) and Enterprise (fit for enterprises) editions. It is an open-source and is incredibly advanced and customizable. One of its biggest advantages is that it has very large community support through numerous plug-ins and extensions available, allowing you to add many new functionality that do not come built-in with the Magento Platform. It is robust, SEO friendly and highly scalable, providing many options and support resources in designing, developing, launching and managing your online site and store. You can also easily integrate third-party solutions for added functionality. It provides multilingual & multi-currency support and has multi-store capabilities. Shopify is great for stores that sell both physical and digital goods or services that require a minimal amount of configuration. The Shopify platform already has powerful built in variant support, including the ability to link product options, but it does max out at 100 variations per product. In short, if you sell products that come in, for example, a few colors or materials and sizes (or any other qualifier), Shopify can be a great way to go. WooCommerce is far and away the most popular and feature rich eCommerce plugin for WordPress. Since its debut it has been at the forefront of eCommerce in the WordPress space and as of right now it shows no signs of being de-throned. It is quite flexible when it comes to integrating with third-party extensions & applications and provides shopping cart and online store management tools. It supports back-end operations and offers various marketing tools, helping boost sales and improving revenues. Virtuemart is an open source web development platform for online shopping portals which run on Joomla Content Management. This technology can convert the website stay flexible to exist as shopping cart as well as for catalogue administration. It enables developers to work with ease. 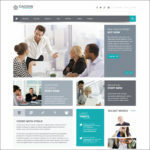 It is most beneficial for commercial websites. Though it cannot be defined as a standalone solution, the plug-in feature for open source content organization technique makes it a flexible one for add-ons like templates and modules. OpenCart is an open-source e-Commerce platform having user-friendly back-end. It is a blend of simplicity and flexibility and is a feature-packed platform, offering numerous plugins. It supports multiple payment gateways and has efficient order management system. It is highly scalable and allows you to create unlimited number of categories. It also provides multilingual and multi-currency support and lets you sell n number of products. It doesn’t require much technical knowledge in setting up the store. 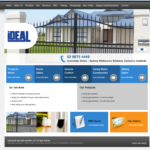 The website has a high loading speed, giving an enhanced shopping experience to your buyers. Like Magento it also has multi-store capabilities allowing the businesses to manage all their stores through one admin panel.